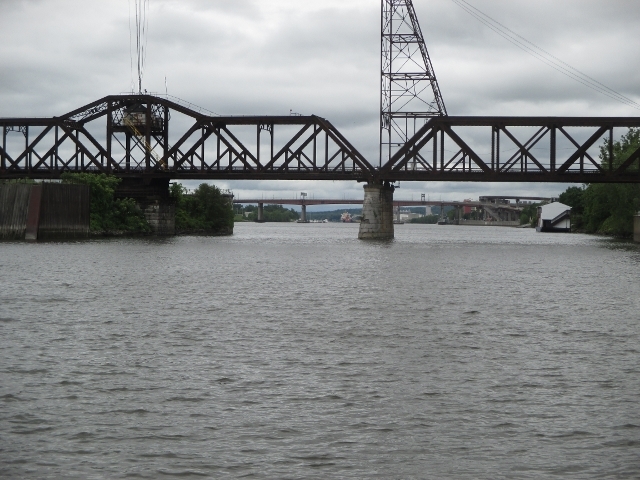 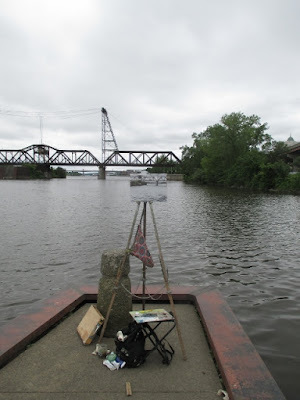 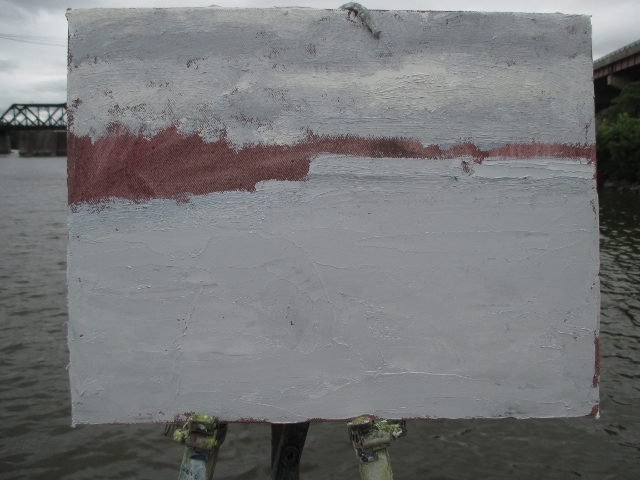 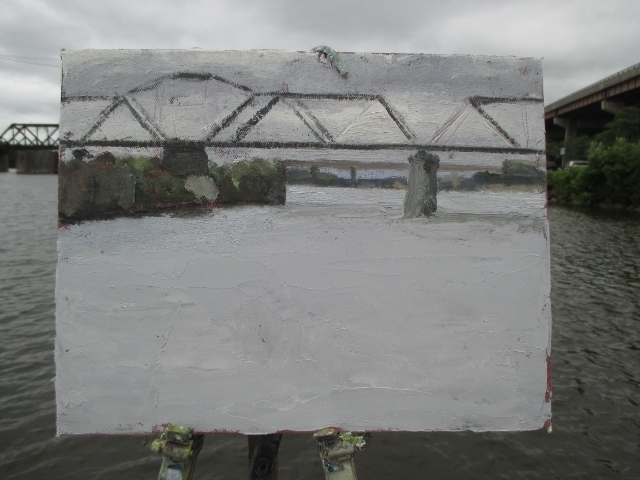 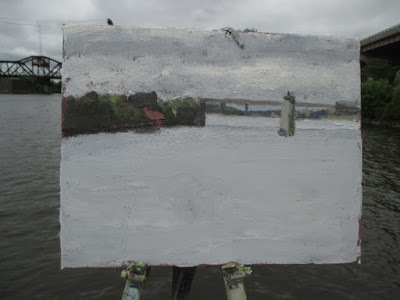 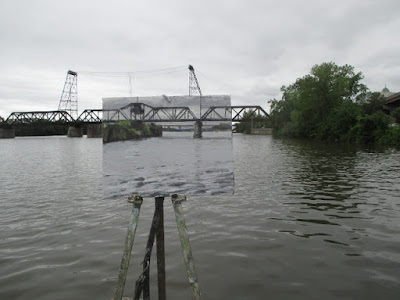 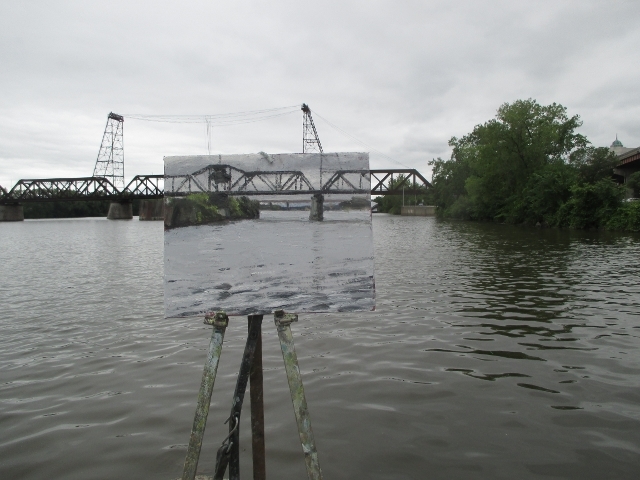 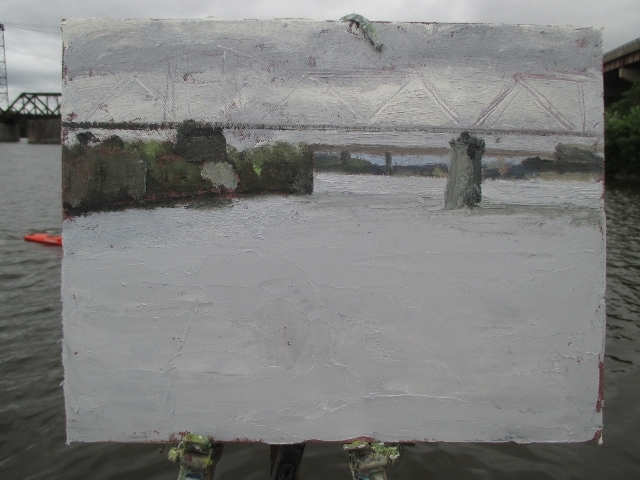 Matt Chinian Painting Blog: Hudson River @ Albany: a re-do. 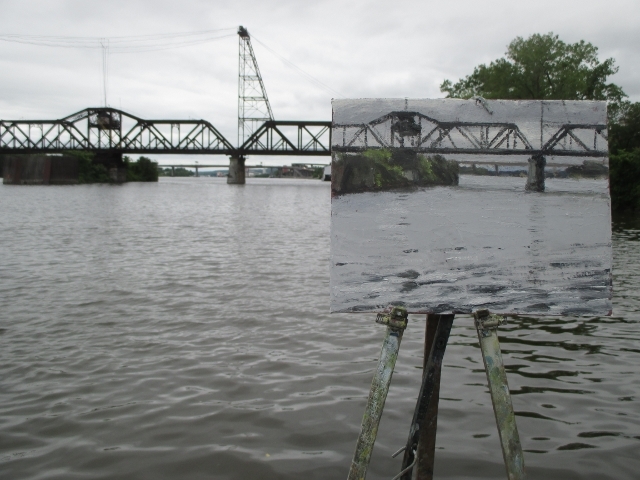 I went down to Albany, to see about putting some work up in the offices of a non-profit. 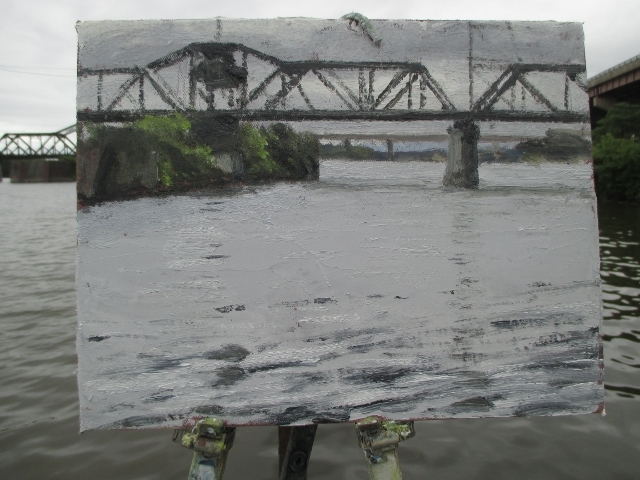 I thought it would rain all day, but the rain stopped and I went back to a scene I did in April. Lots of white, is this winter again? The sky and the water are not the same, but there not much different. The last time I was here I had a similar day, overcast, my painting was weird, ethereal, but I didn't like it. It was an easy day to paint without sun in my eyes. 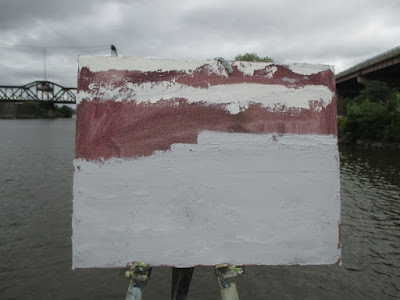 I always adhere to the "most different" rule, which states to compare the scene to your canvas and paint the most different thing between the two. 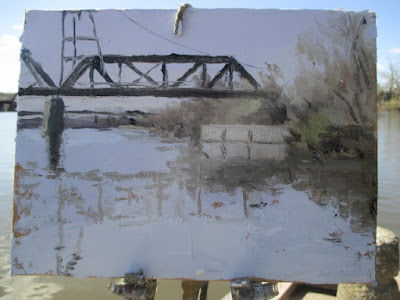 When I do trestle bridges, I amend that rule, and paint what's behind first, then I scratch in the bridge with my pallet knife. 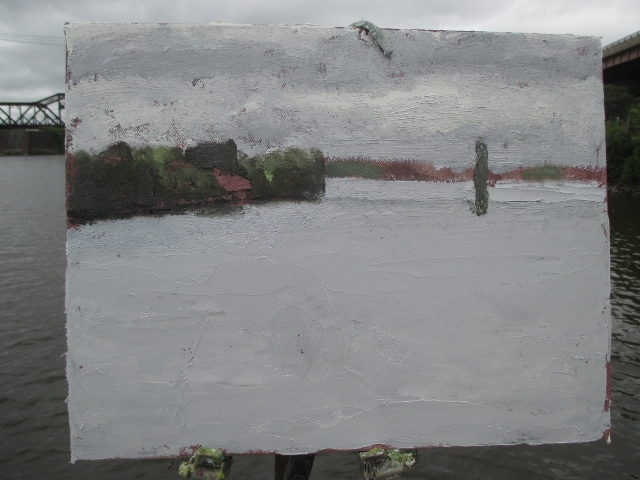 Having a rough textured and dry surface helps at this stage. 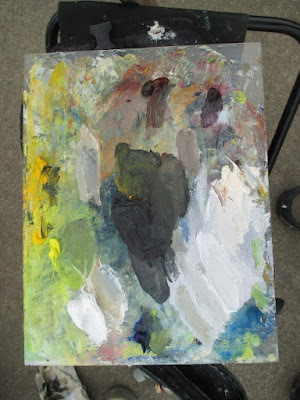 Here is where I finished. A perfect place for a painter.